Exceptional cancer care close to home. Serving patients in Delta County and the surrounding area. 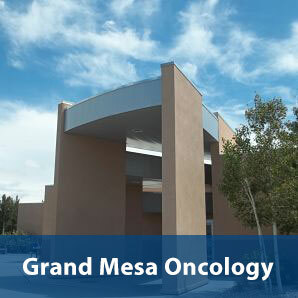 Grand Mesa Oncology and Infusion Center warmly welcomes patients with any cancer diagnosis or blood disorder (with the exception of pediatric cancers). Our Oncology/Infusion Center provides support to all patients and caregivers from the time of diagnosis through survivorship. Each physician has a designated ONN, Oncology Nurse Navigator, to assist with this journey. Our goal for Grand Mesa Oncology/Infusion Center is to provide the most exceptional and holistic care to all of our patients and caregivers by focusing on the physical, mental, emotional, and spiritual aspects of each patient. To learn more about donating to Grand Mesa Oncology please visit the Delta County Memorial Hospital Foundation. 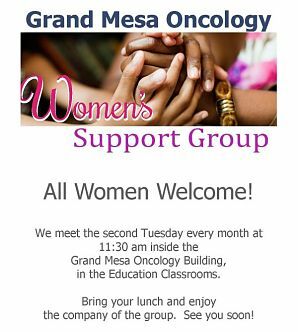 Donations to Grand Mesa Oncology must be specified as such in the memo/notes section.